Why is it always so hard to find the perfect purse? One is too small, or too big, or you can’t see inside of it, or it’s too heavy, or you don’t like the color…I mean, what is a girl to do? One rainy afternoon, I decided to take matters into my own hands and just make a purse…one that I know I would like, I know it would fit all my stuff, and it wouldn’t be too heavy or hard to use. And now, I share it with you. This is a great summer bag and it’s so easy to make. It’s perfect for the beginning crocheter and is easy to customize to suit your needs. The flower I attached to the purse was made with the Clover Kanzashi Flower Maker (if you don’t have one of these, I highly recommend you get one. Once you start, you won’t be able to stop!). You could obviously use it or loose it, or you can embellish your purse with a pin or a fun fabric flower. The lining of this purse is optional, but if you’re going to be using it often, I highly suggest you include it. Leaving the purse unlined will cause the yarn to stretch…and this hand bag will be an over the shoulder bag in about 2 weeks. 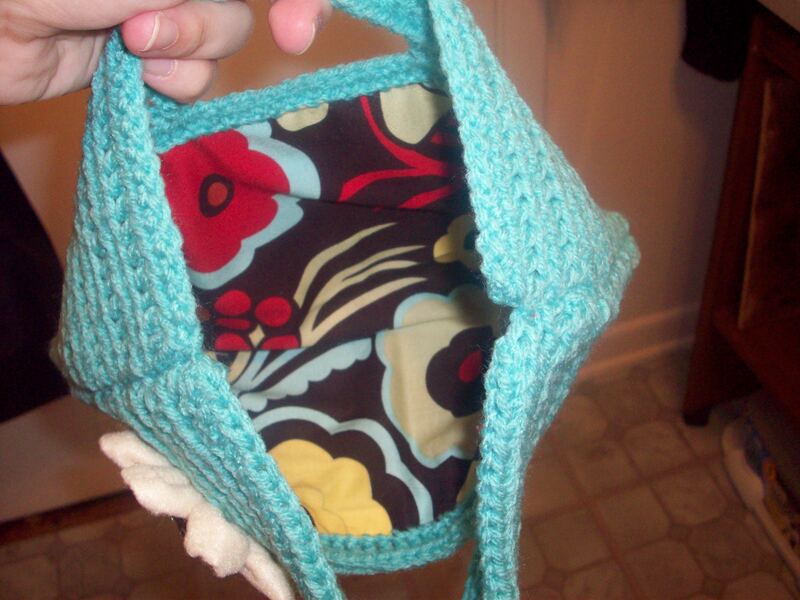 All in all, this is a great weekend bag that is easy and quick to make! Row 1: Hdc in third ch from hook, hdc in each ch across, turn. 43 hdc. Rows 2-4: Ch 2, hdc in each hdc across, turn—43 hdc. Row 5: Ch 2, hdc in each of the next 15 hdc, ch 13, skim next 13 hdc, hdc in each of next 15 hdc, turn. Row 6: Ch 2, hdc in each of next 15 hdc, hdc in each of next 13 ch, hdc in each of next 15 hdc, turn. Rows 7-33: Repeat row 2. Row 34: Repeat row 5. Row 35: Repeat row 6. Row 36-39: Repeat row 2. Fasten off. 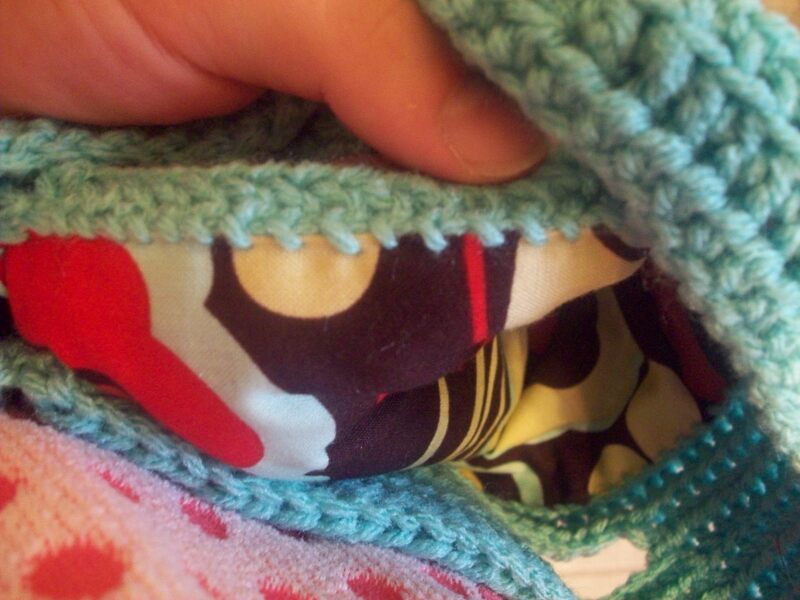 Before assembling my handbag, I did a simple stitch to attach my measured fabric to the inside of the bag…then I simply sewed up the two sides. Easy breezy.